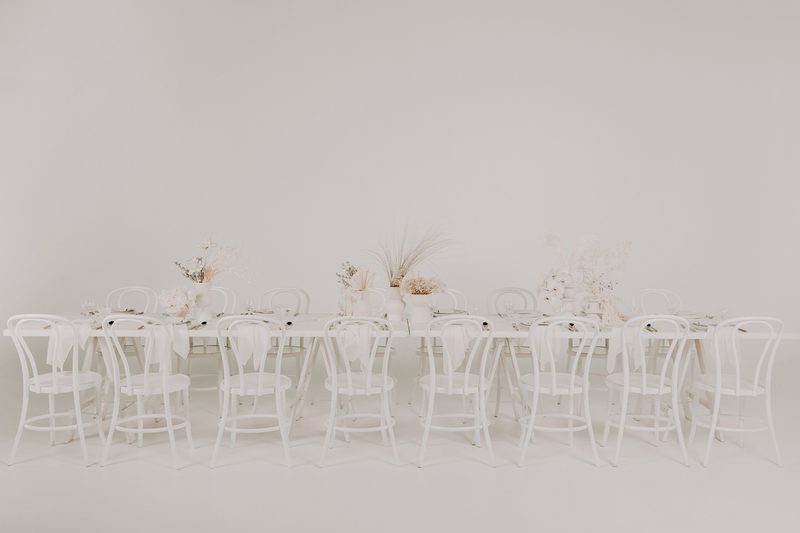 “She is an intriguing blend of simplicity and complexity… a recipe to be loved but never revealed” – Dean Jackson. 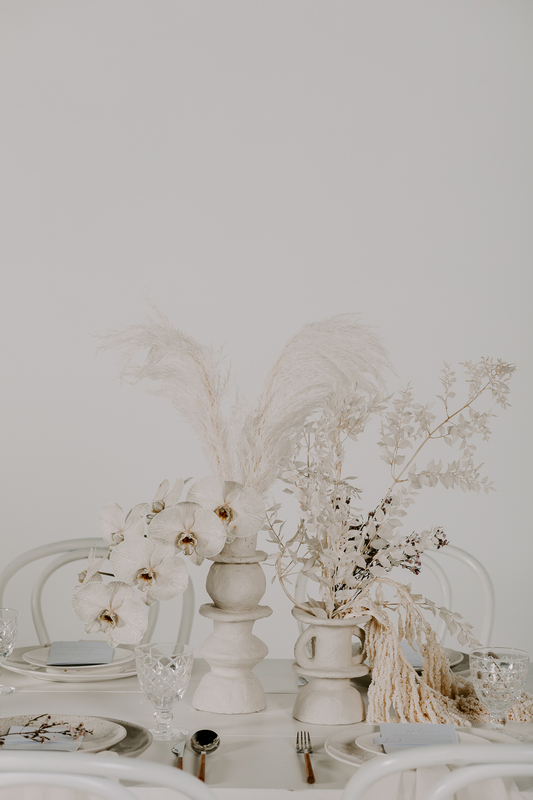 Our key focus for this shoot was detail, detail, detail. 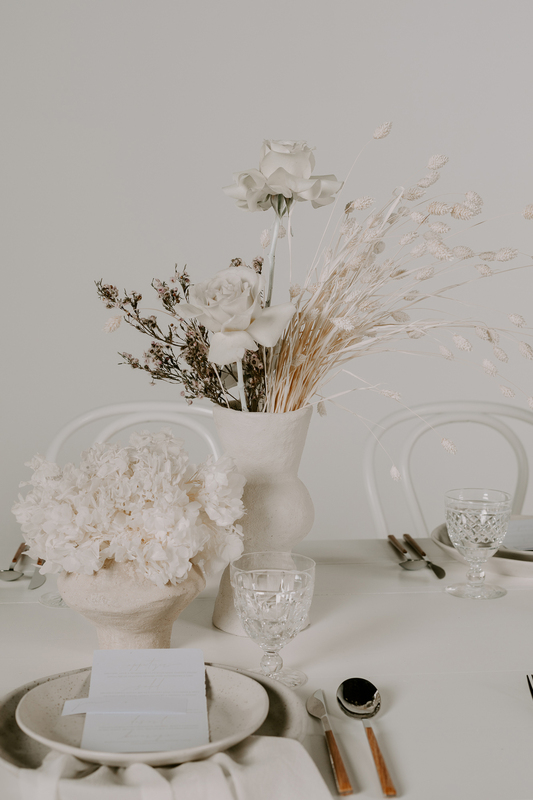 Our team wanted to keep things very clean; a colour palette that consisted of white, shades of ivory and grey with the most subtle hint of lilac. 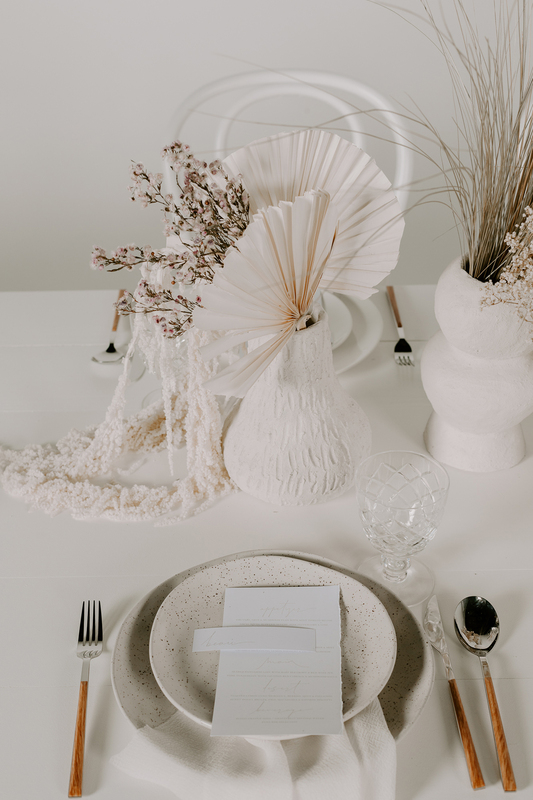 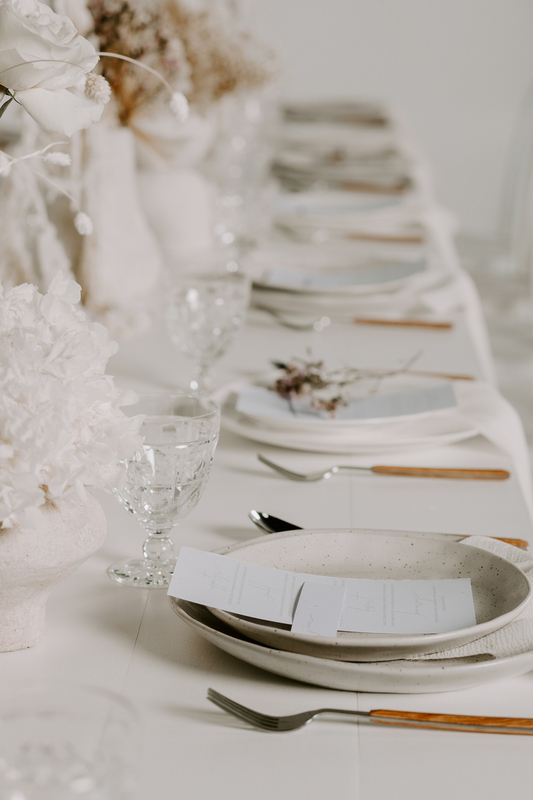 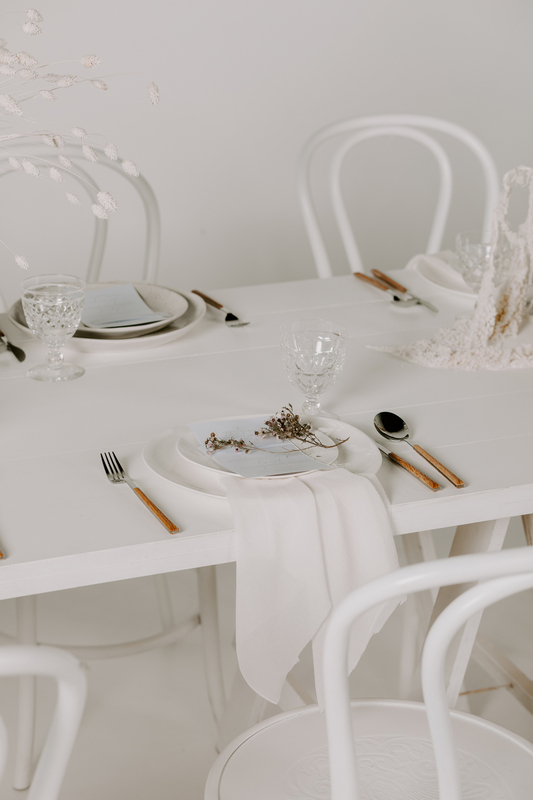 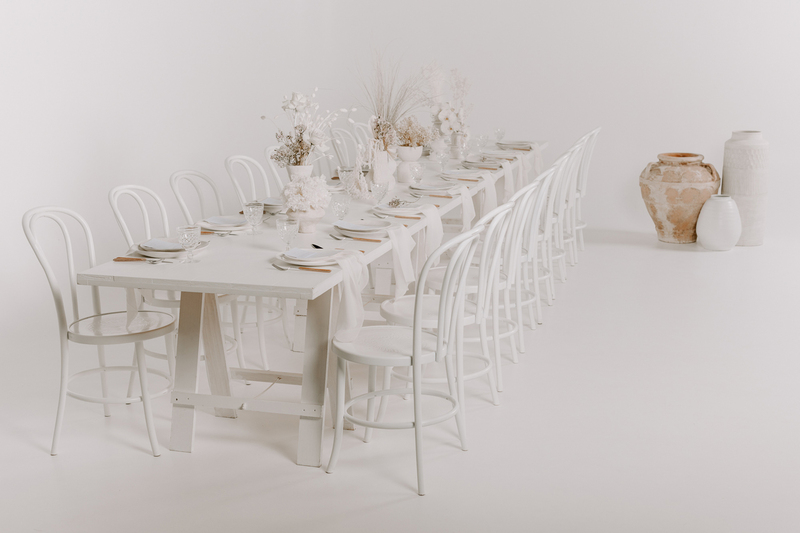 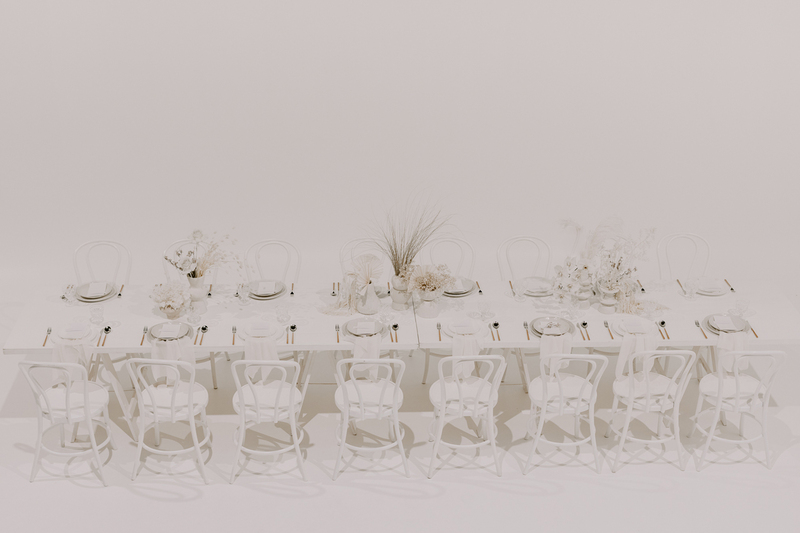 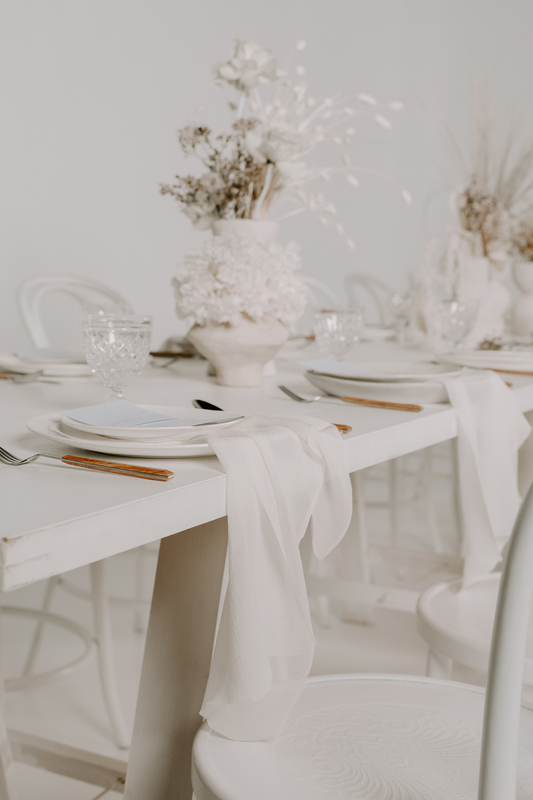 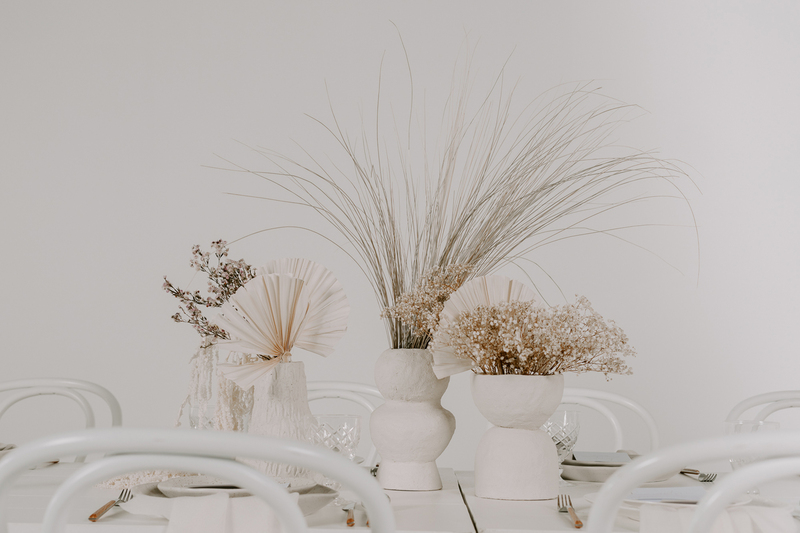 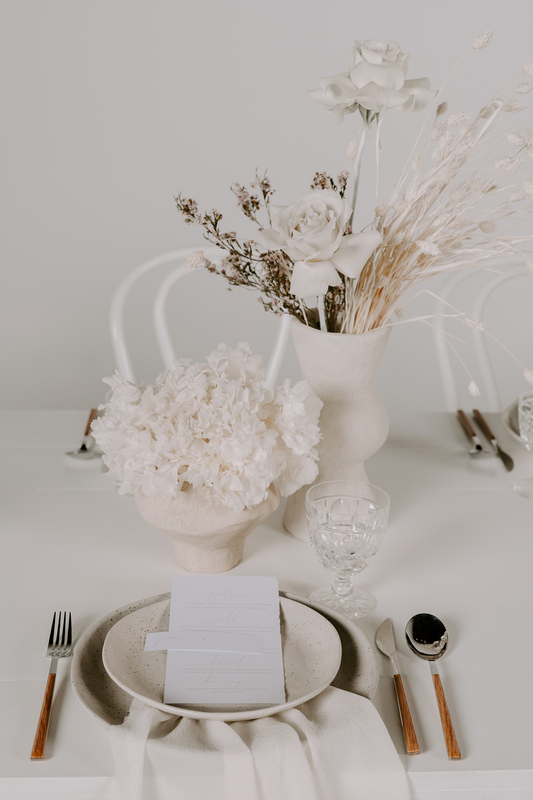 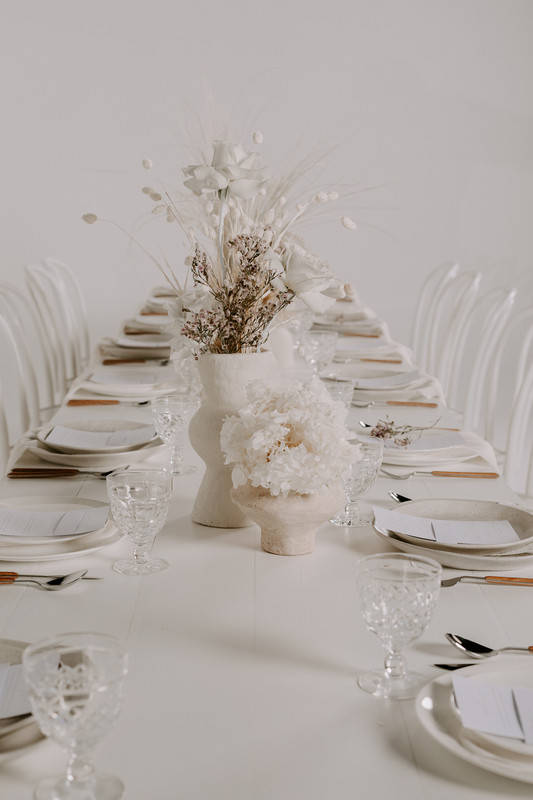 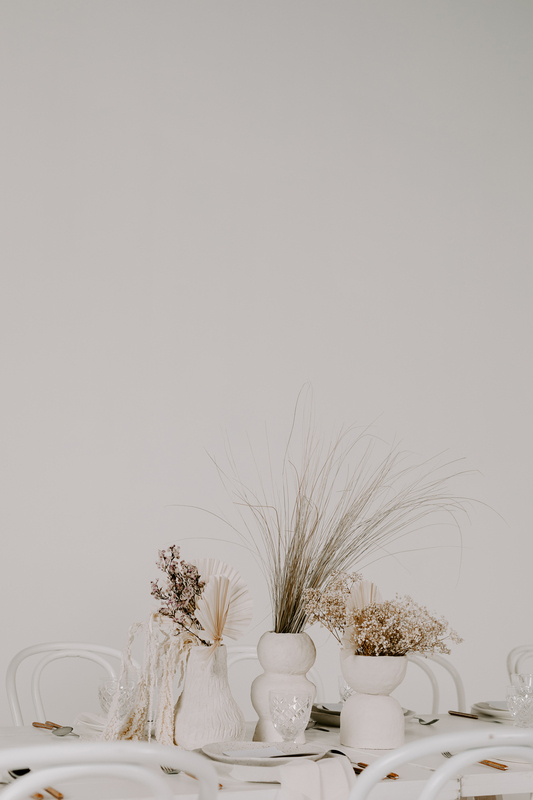 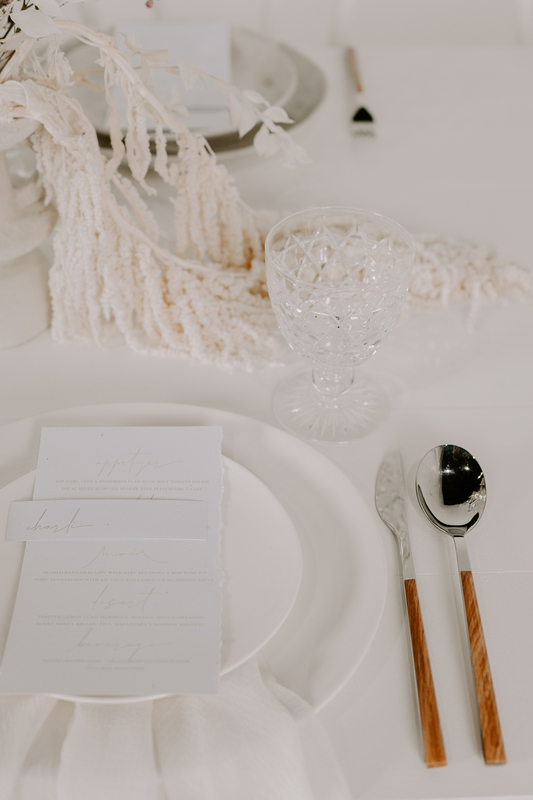 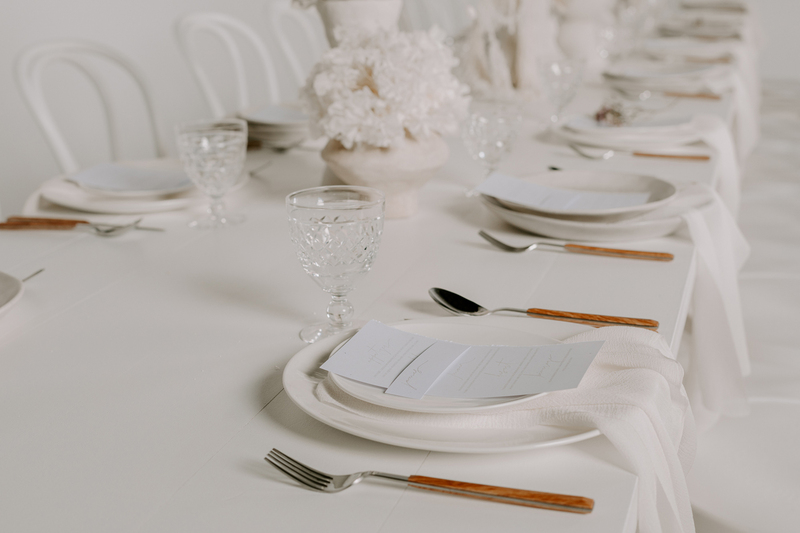 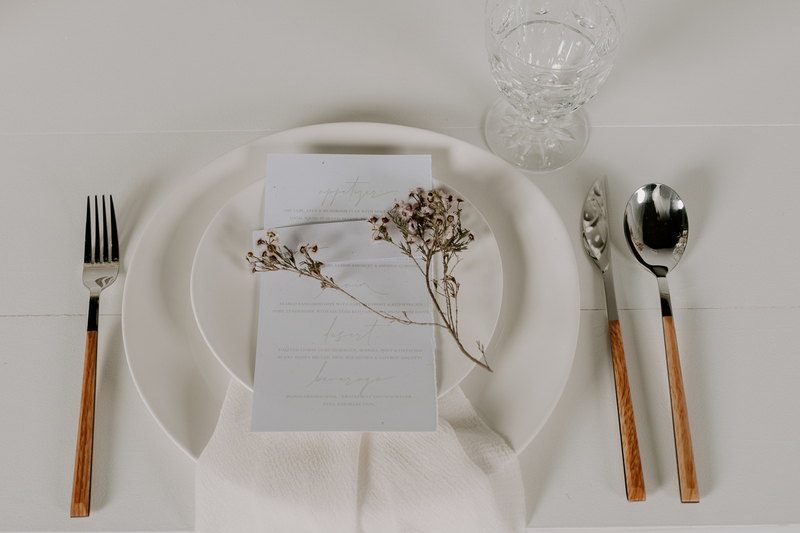 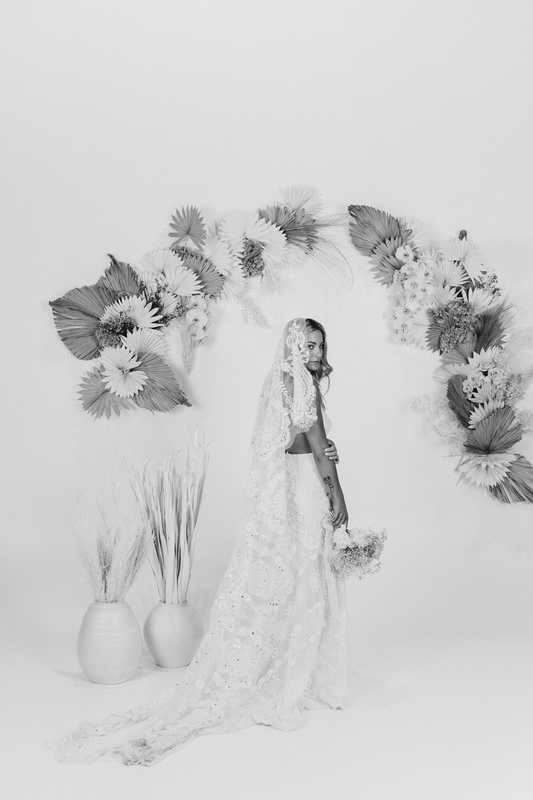 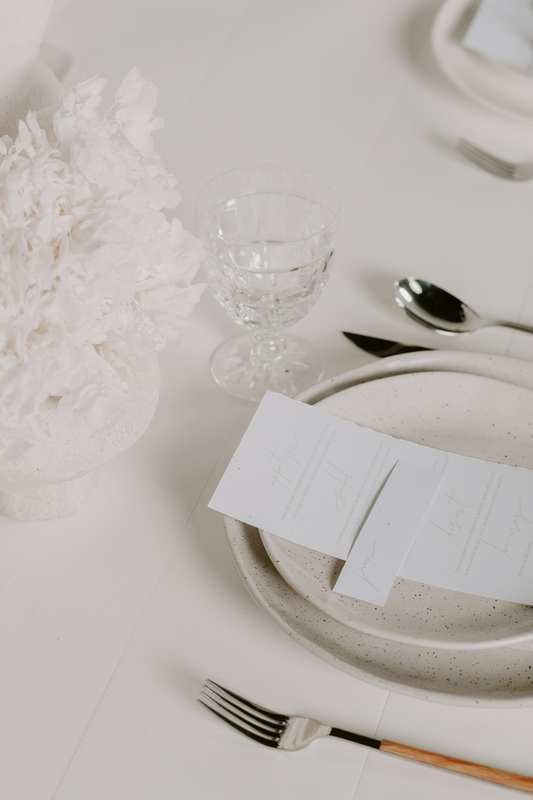 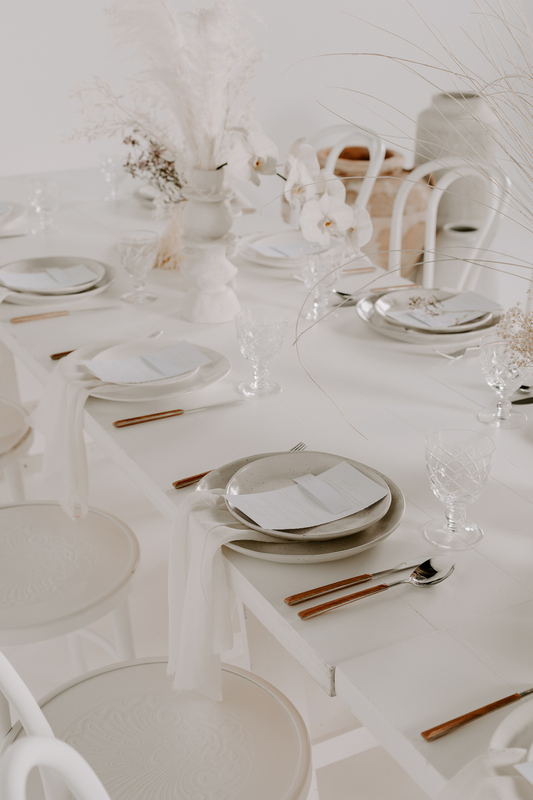 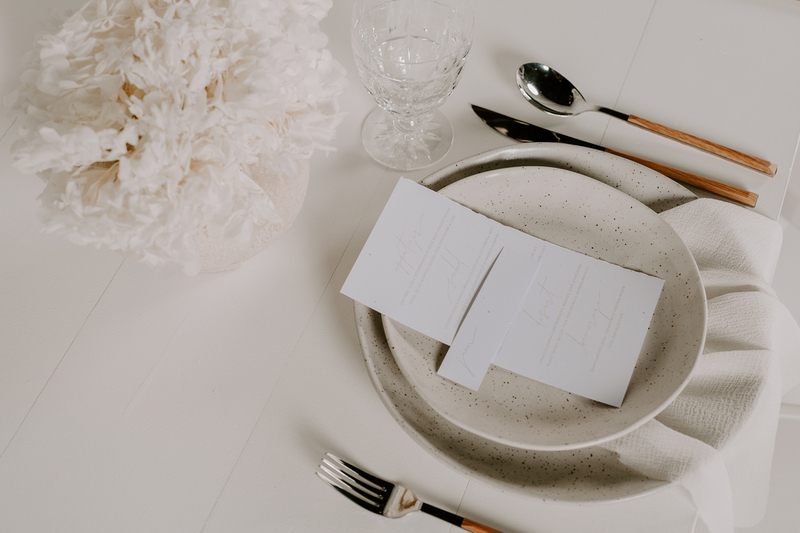 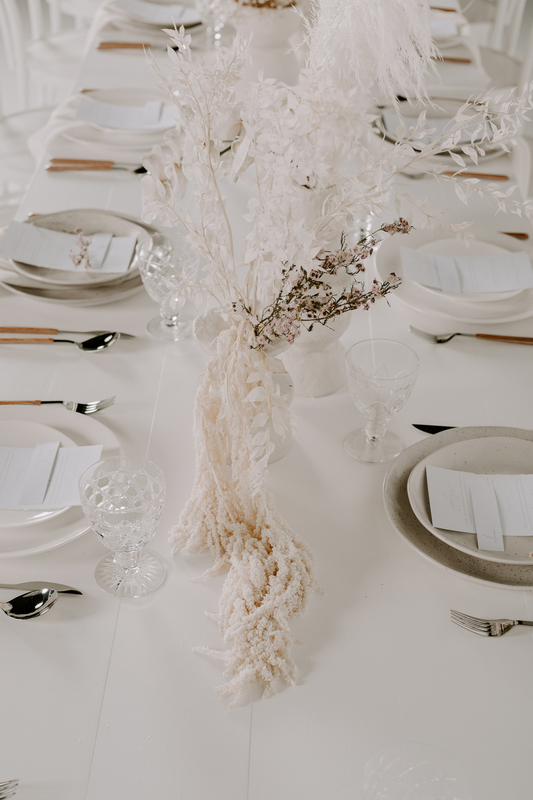 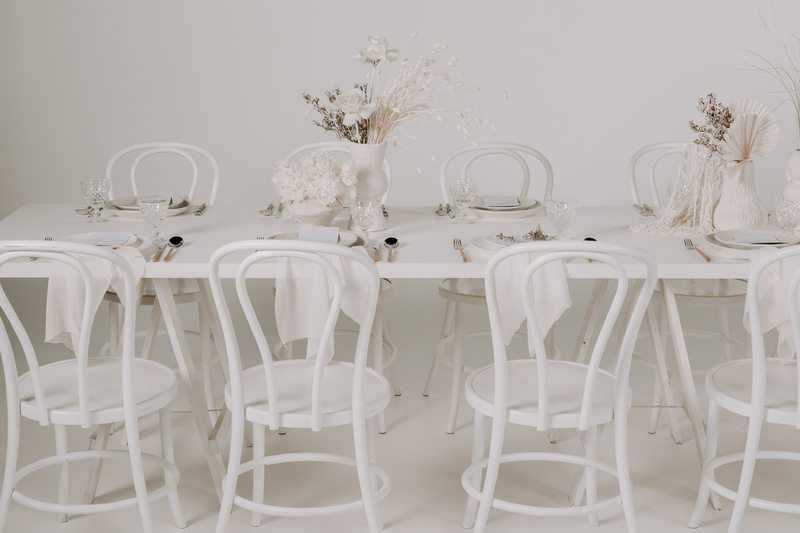 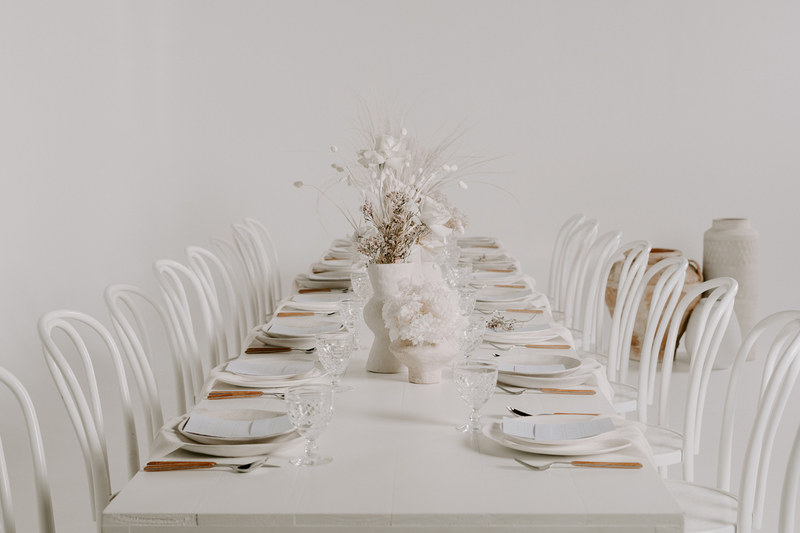 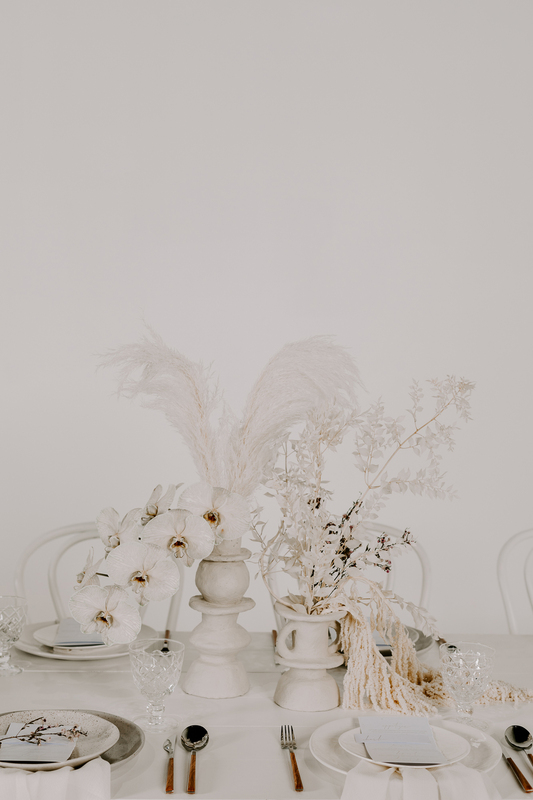 Each element was carefully curated; from the vintage cut crystal water goblets, to the wooden detail flatware, the beautiful white bentwood chairs and wildly romantic Rue De Seine gowns. 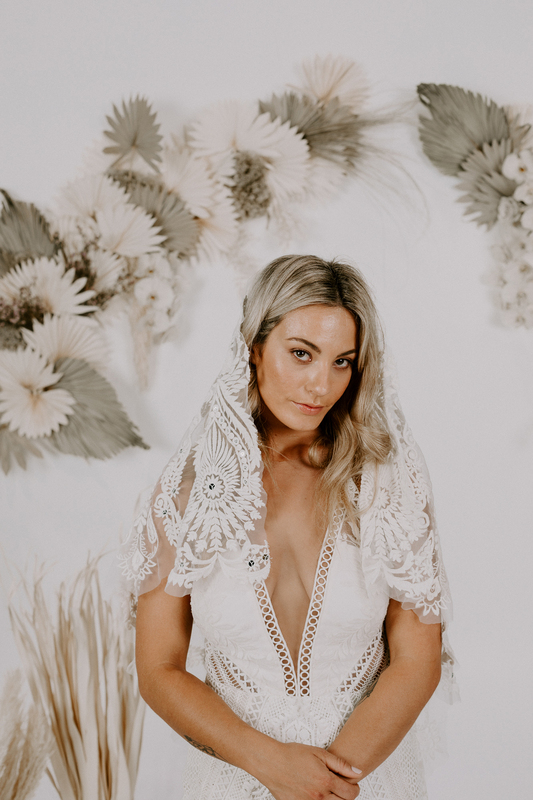 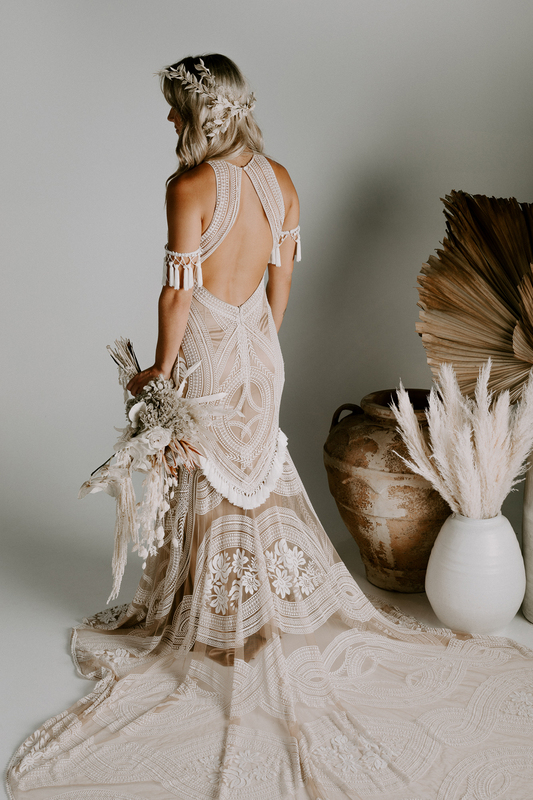 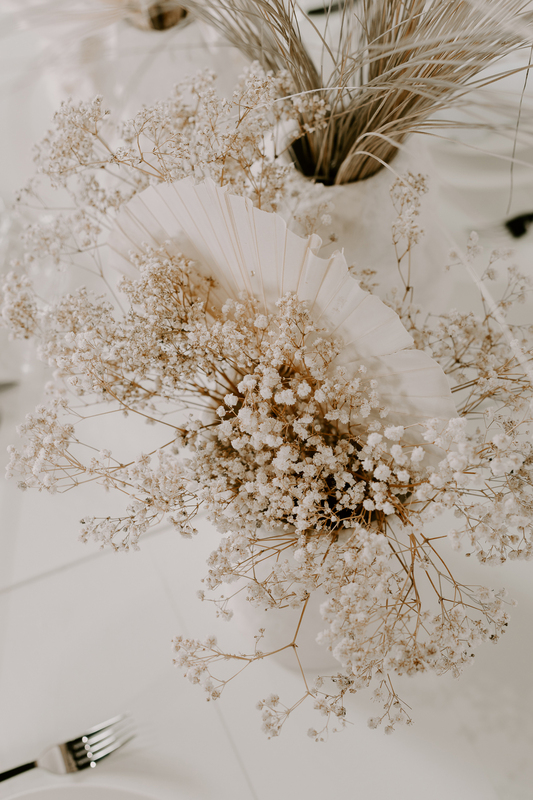 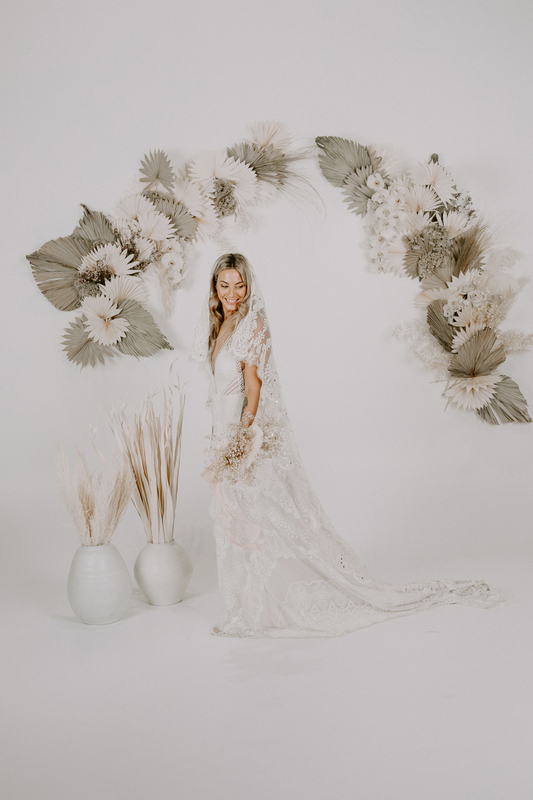 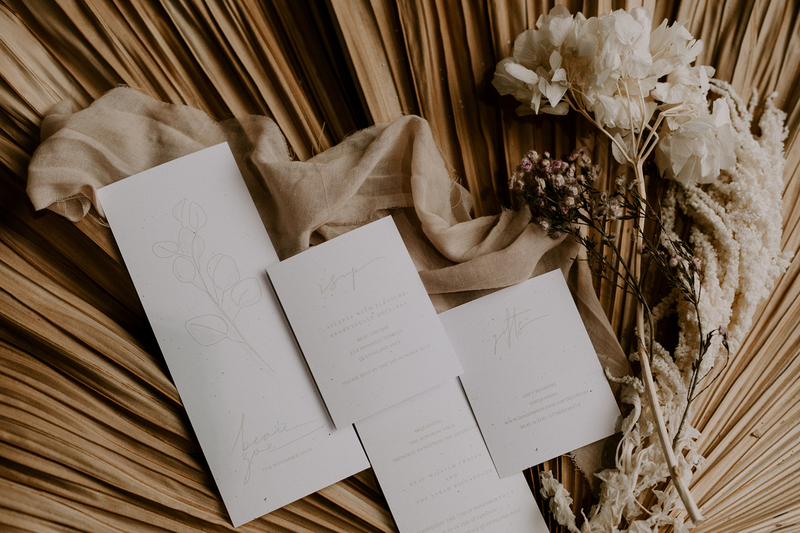 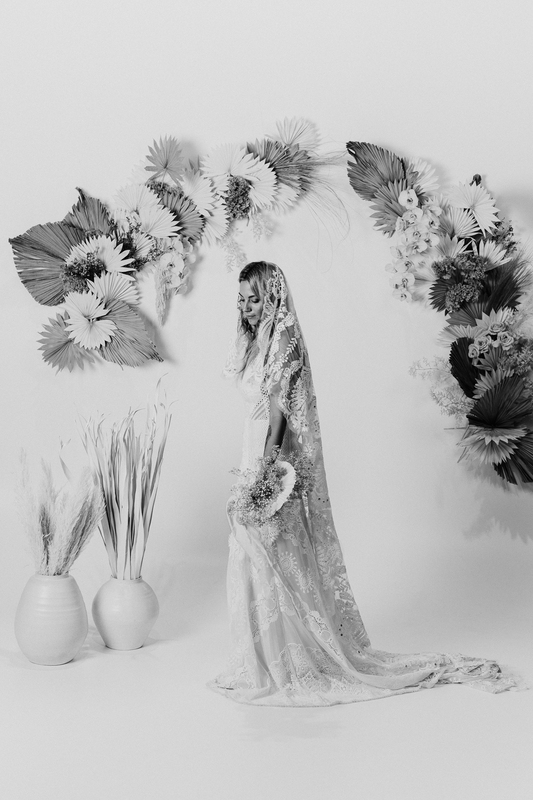 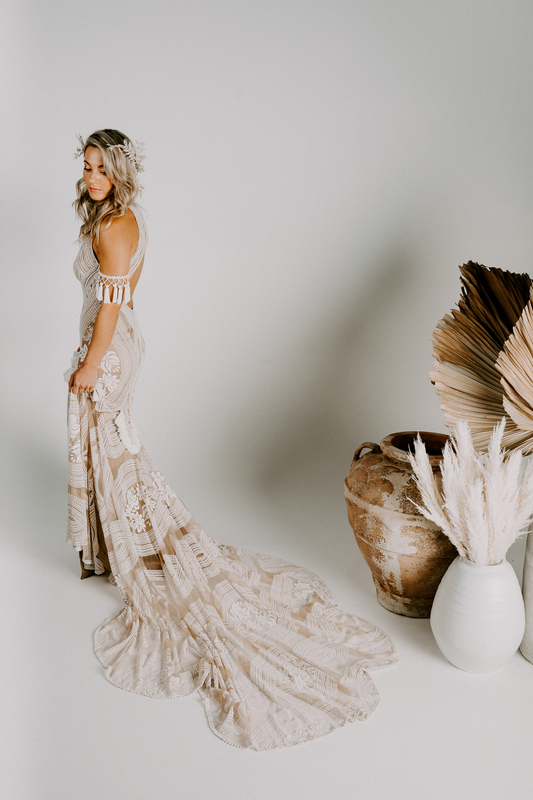 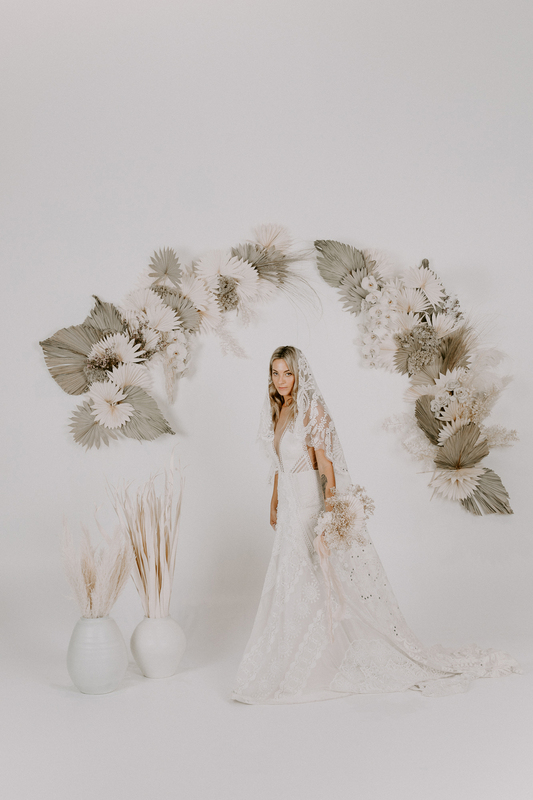 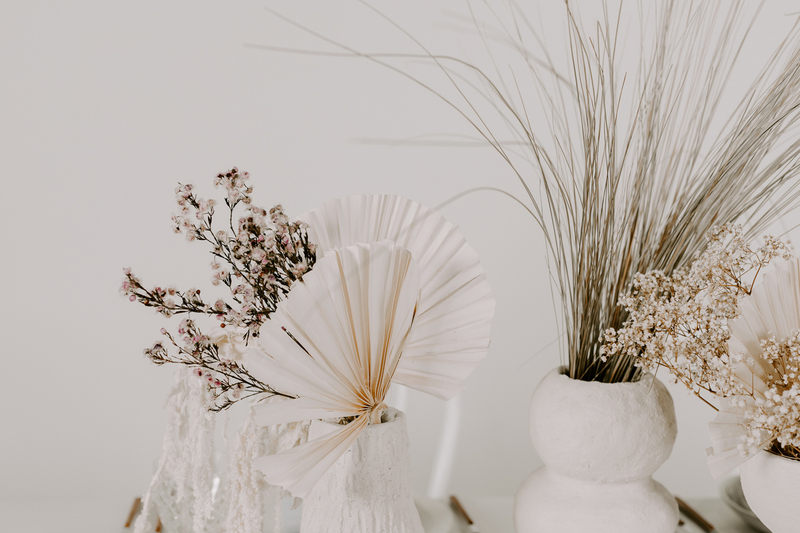 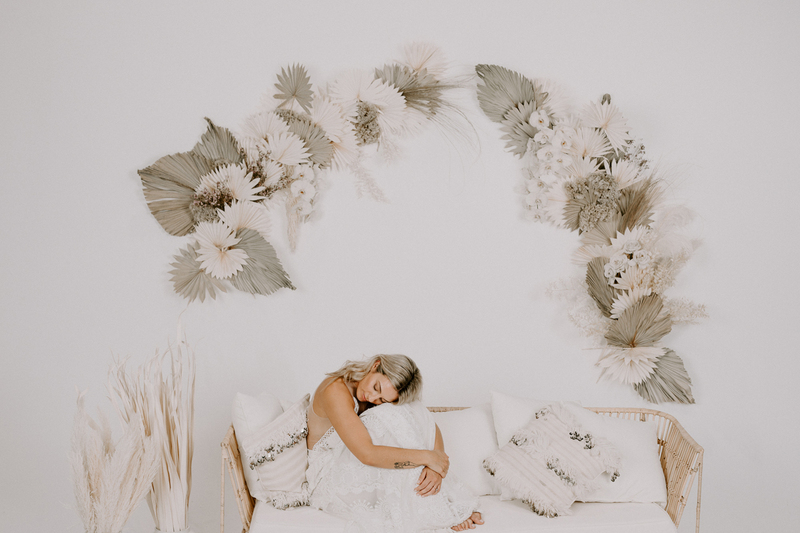 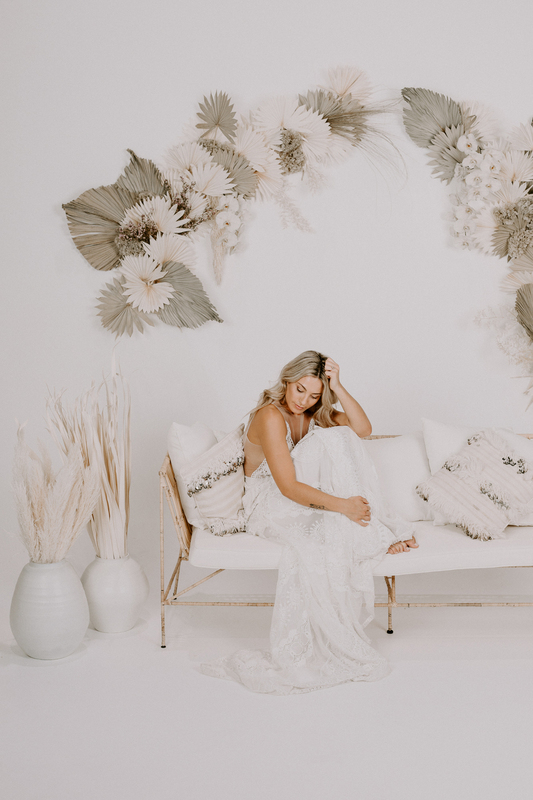 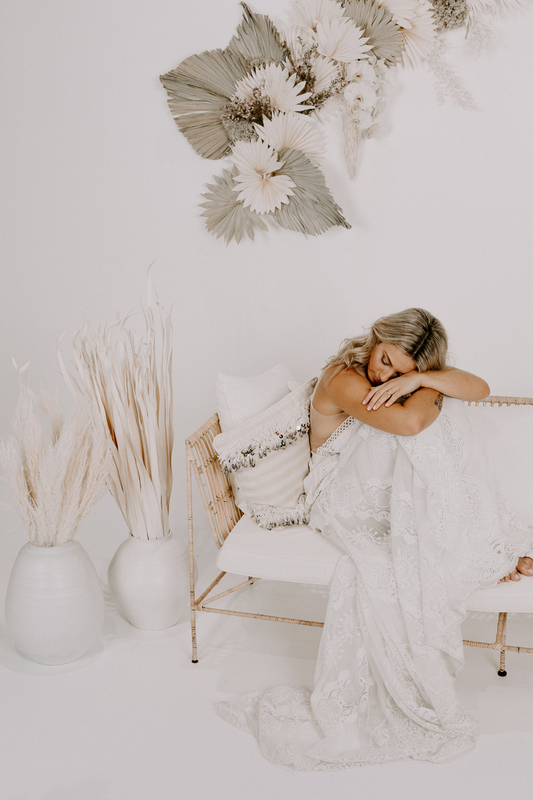 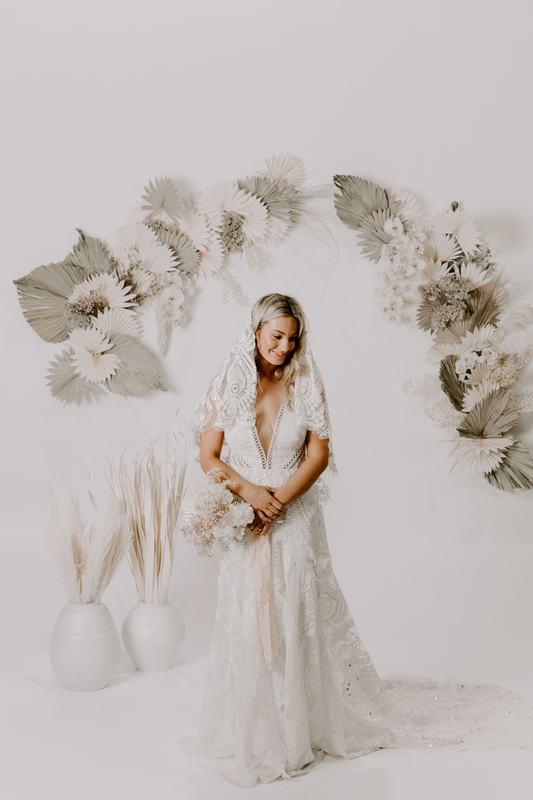 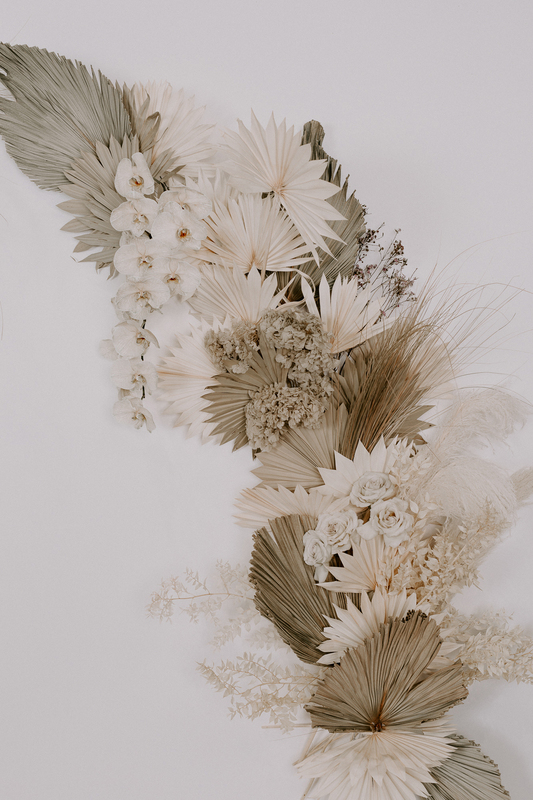 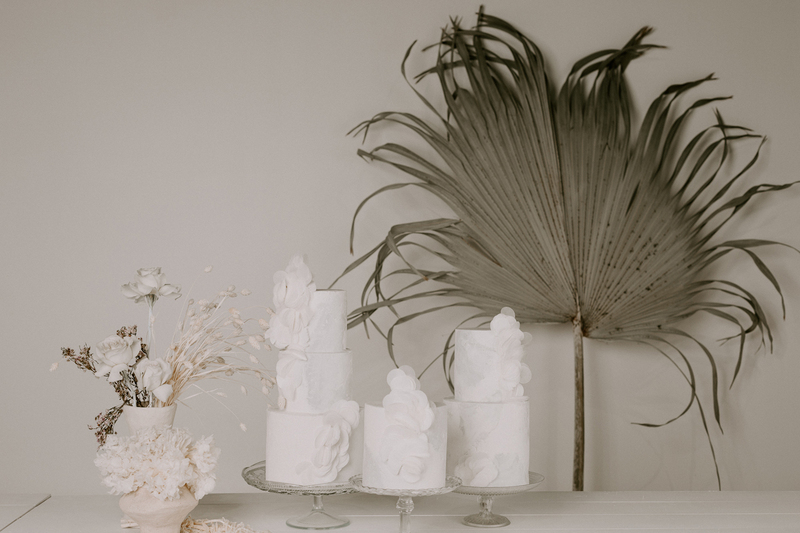 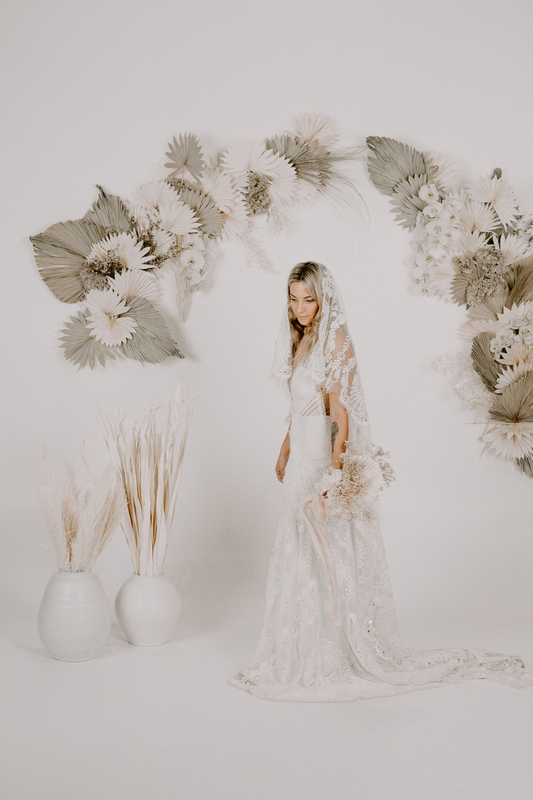 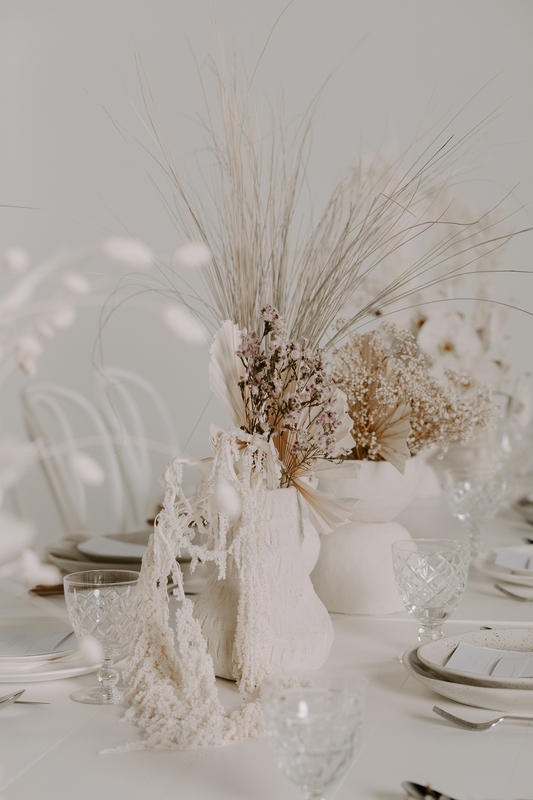 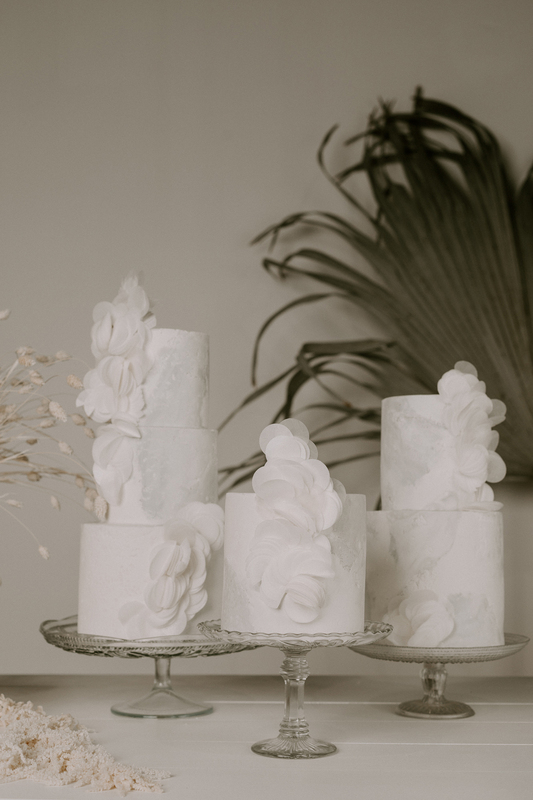 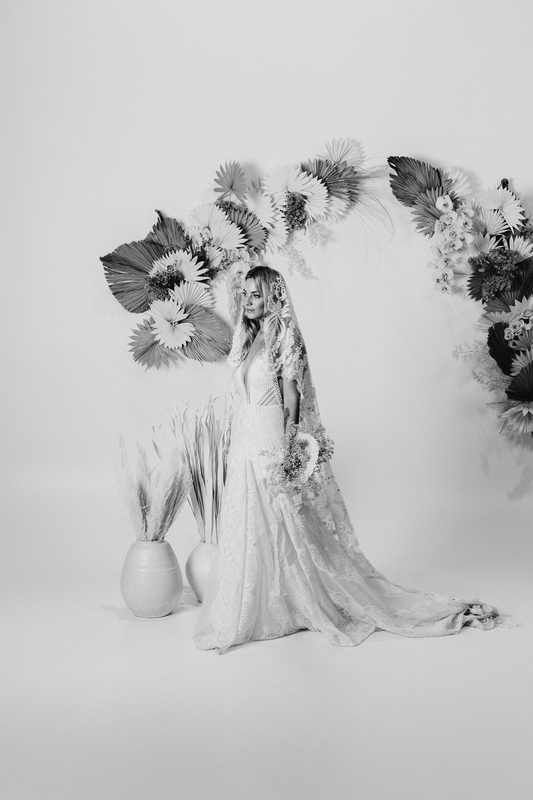 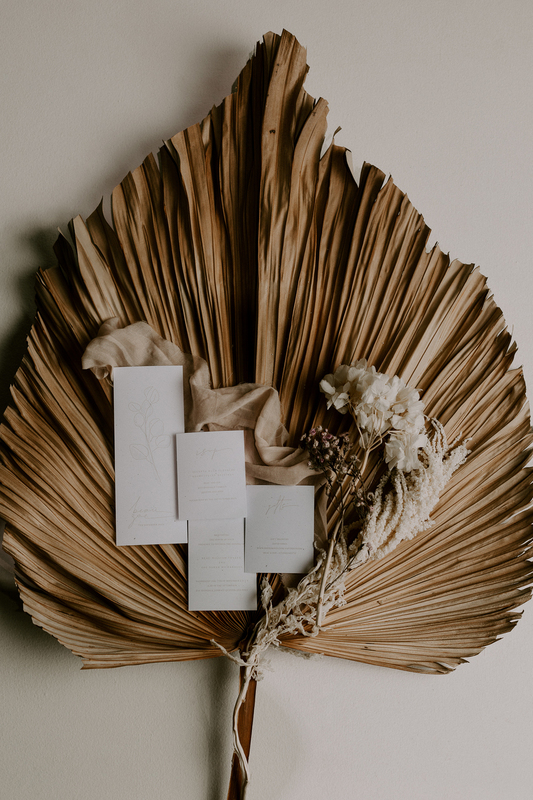 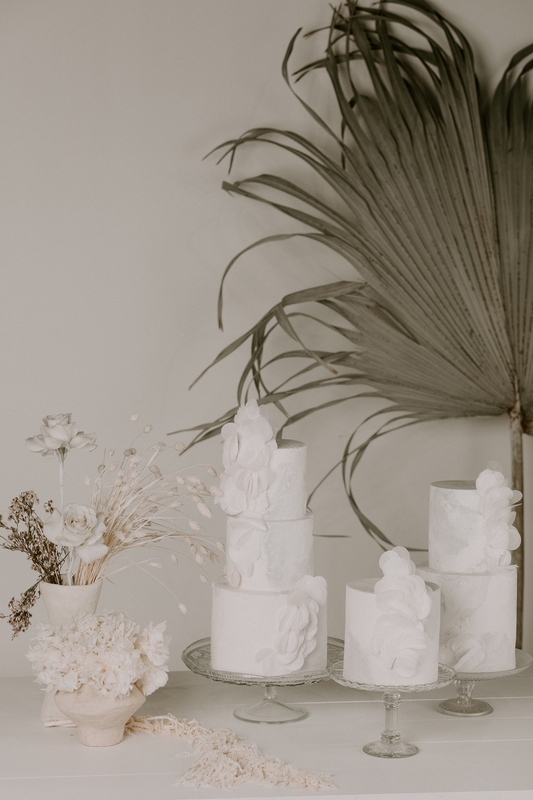 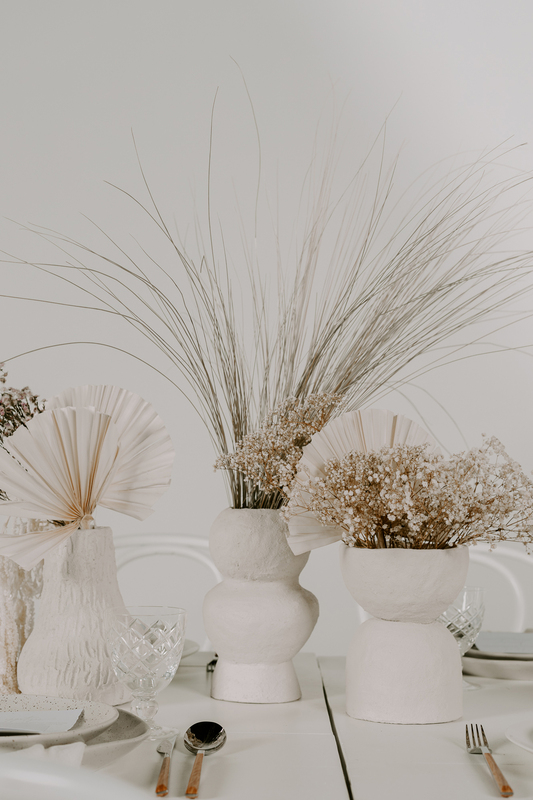 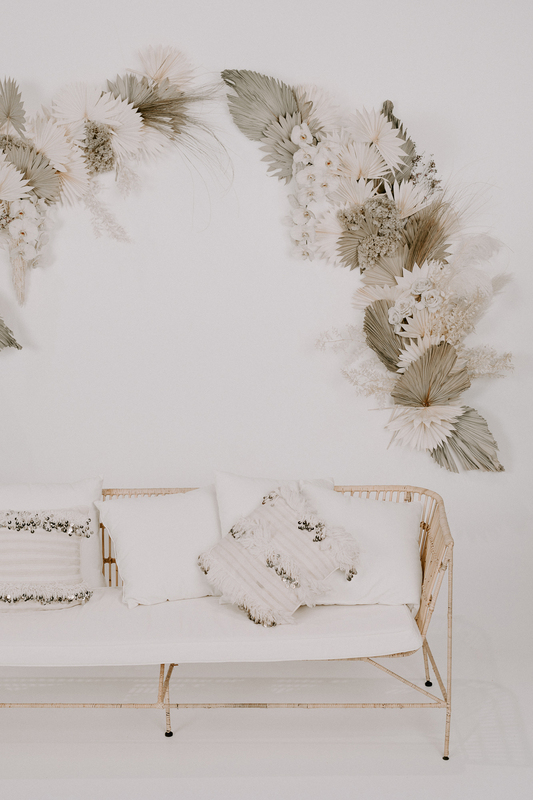 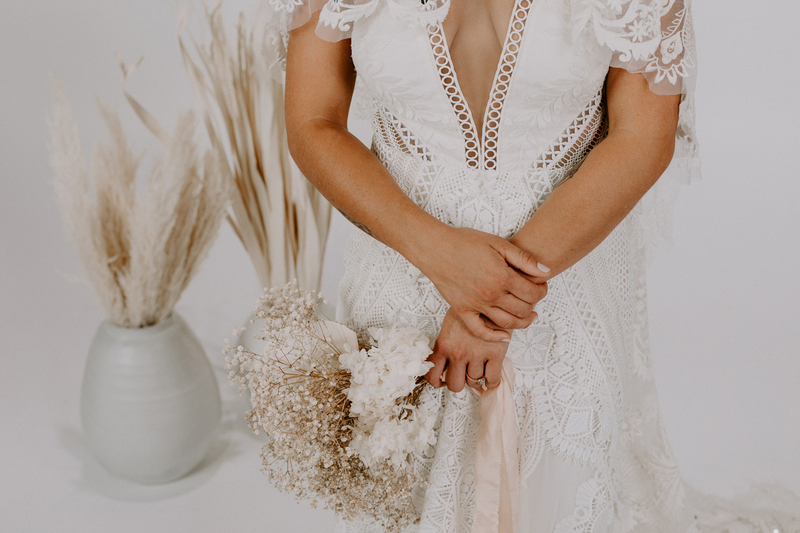 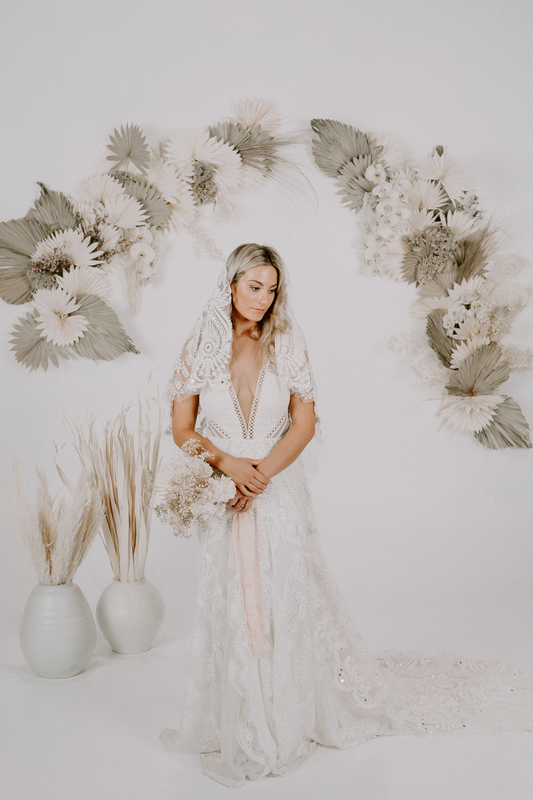 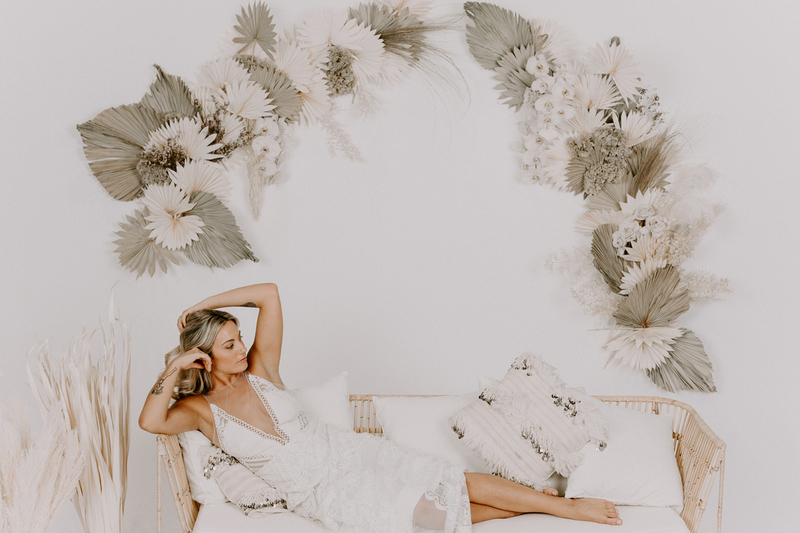 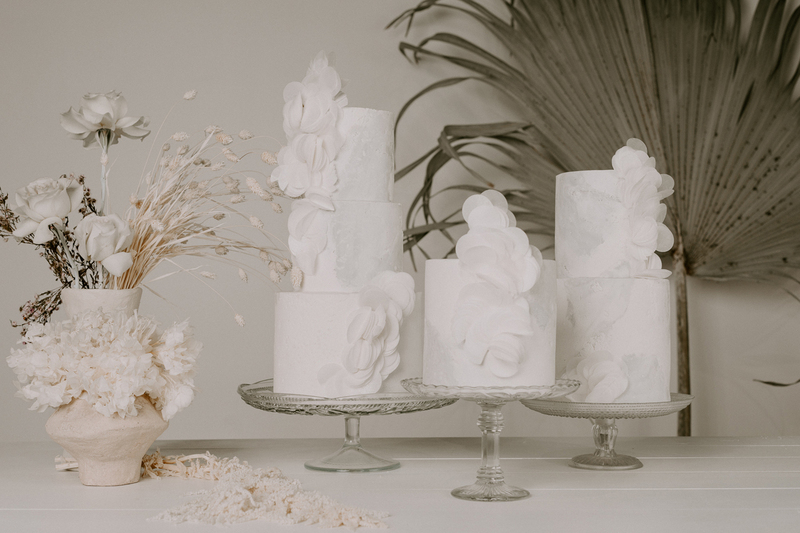 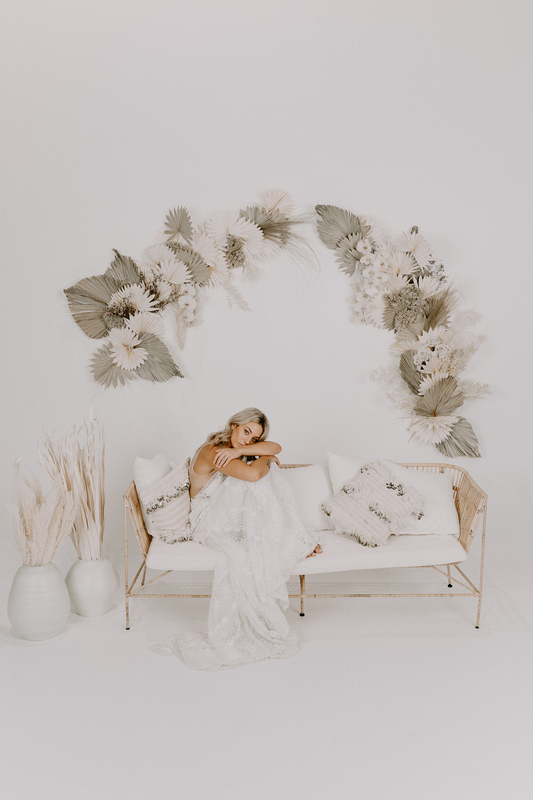 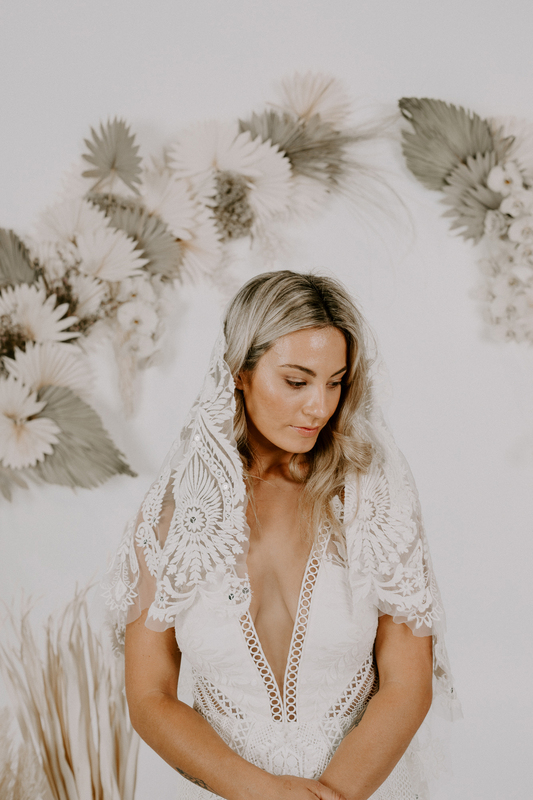 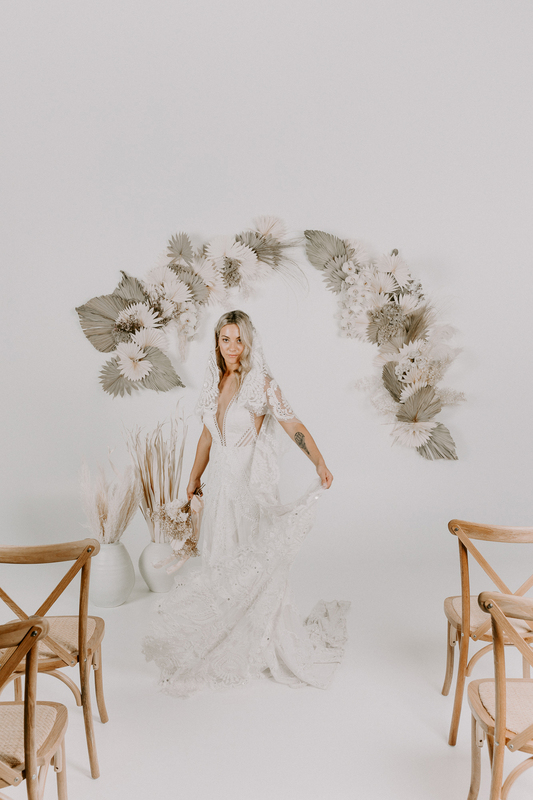 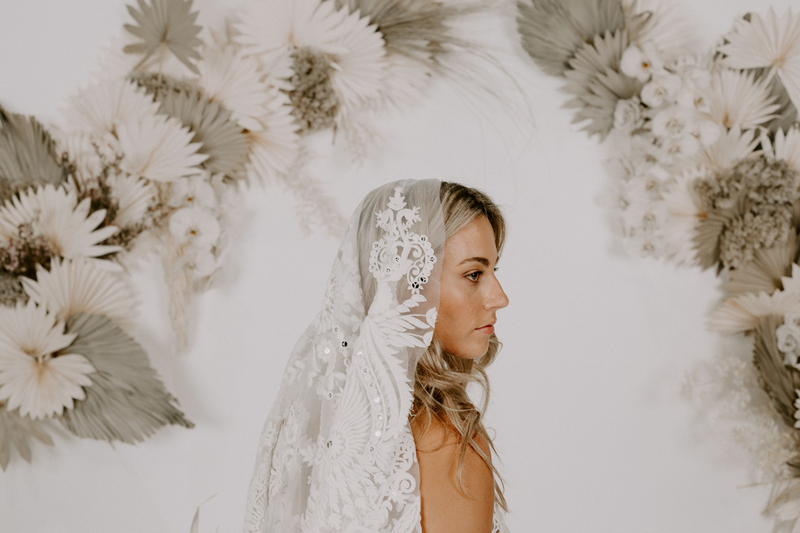 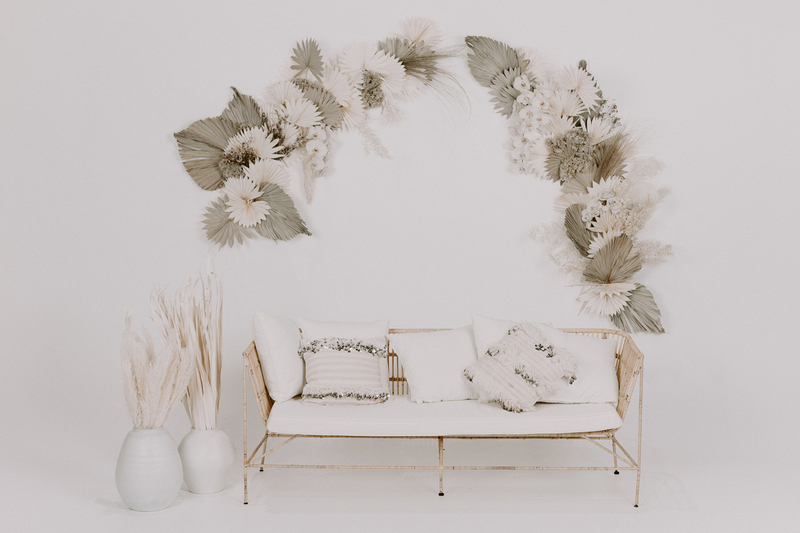 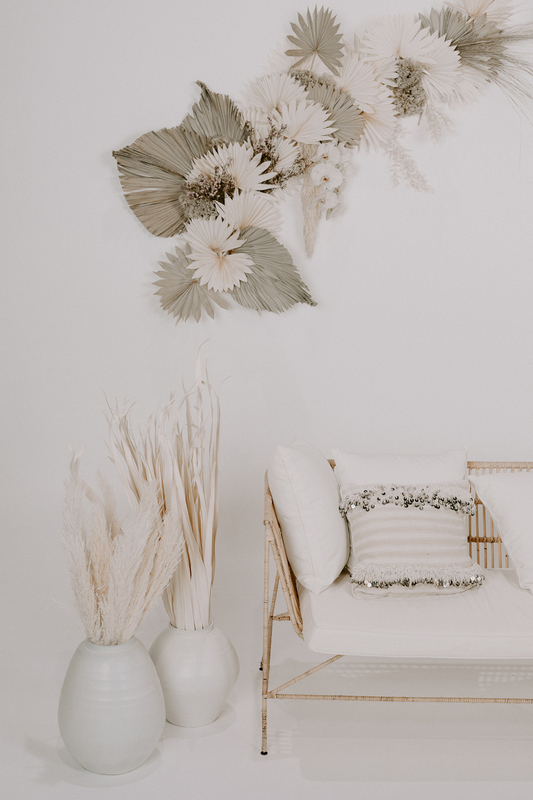 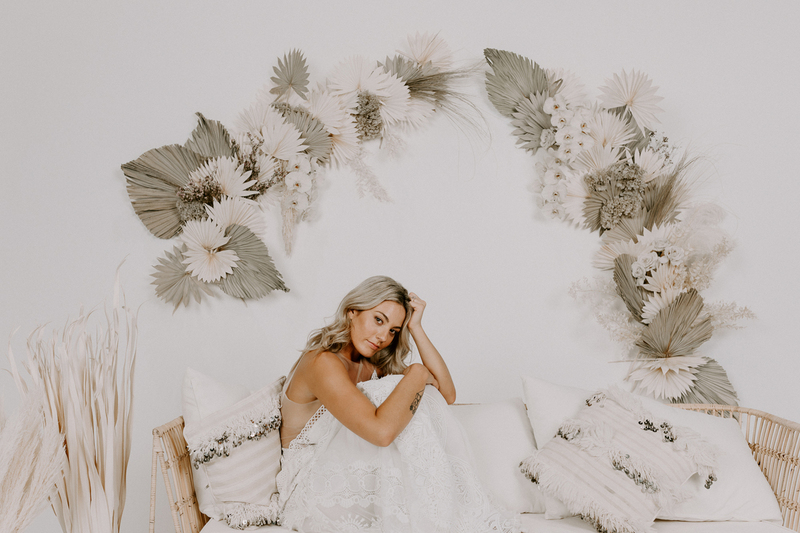 It was also our hearts desire to work with dried botanicals on this shoot and the girls from Nikau Store Flowerbar certainly didn’t disappoint. 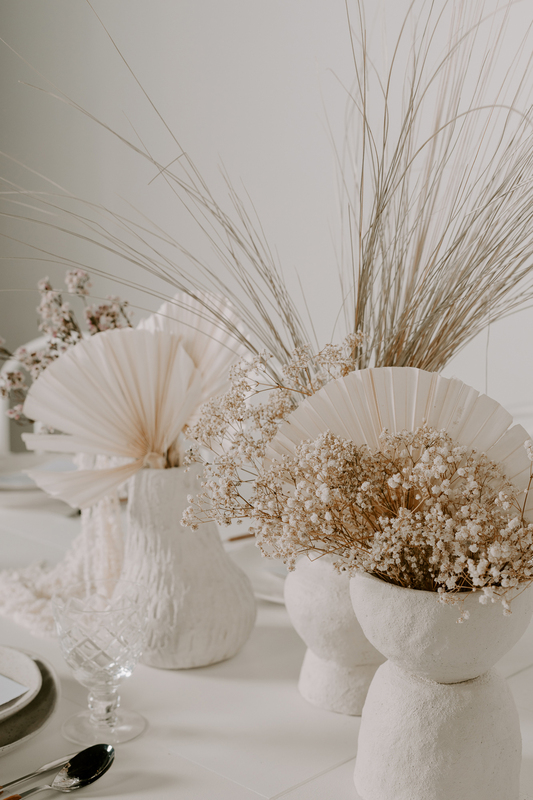 It was like watching magic in motion – their enthusiasm for the concept was heart-warming and evident in their delicately crafted arrangements and installations.